A spinoff series from the Amazon #1 bestselling author of the Three Rivers Ranch Romance series! Before the Leap features a new ranch, with new cowboys to fall in love with… Go to Gold Valley, Montana and the Horseshoe Home Ranch to find your next happily ever after!Can Jace find a way to forgive before it’s too late?Jace Lovell only has one thing left after his fiancé abandons him at the altar: his job at Horseshoe Home Ranch. 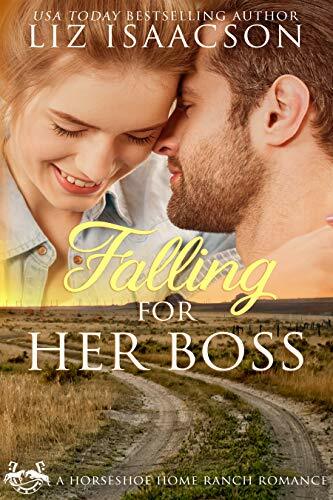 He throws himself into becoming the best foreman the ranch has ever had—and that includes hiring an interior designer to make the ranch owner’s wife happy.Belle Edmunds is back in Gold Valley after she lost her job at a prestigious design firm in California. She’s working for a conglomerate, but she’s desperate to build a portfolio that she can use to start her own firm in Montana. She applies for the job at Horseshoe Home, and though Jace and Belle grew up together, they’ve never seen eye to eye on much more than the sky is blue.The spark between them now that they’re adults can’t be denied, and as Jace and Belle attempt to work together, they also fight their growing attraction to each other. But Jace isn’t anywhere near forgiving his fiancé, and he’s not sure he’s ready for a new relationship with someone as fiery and beautiful as Belle. Can she employ her patience while he figures out how to forgive so they can find their own brand of happily-ever-after? **This is Book 1 in a brand-new series! See below for the order of books Liz has written. All books are standalone romances, but are tied to a specific place to create a series.Gold Valley Romance (spinoff series from Three Rivers Ranch):Before the Leap (Book 1)After the Fall (Book 2) – coming February 20, 2017Through the Mist (Book 3) – coming April 3, 2017Three Rivers Ranch Romance:Second Chance Ranch (Book 1)Third Time’s the Charm (Book 2)Fourth and Long (Book 3)Fifth Generation Cowboy (Book 4)Sixth Street Love Affair (Novella)The Seventh Sergeant (Book 5)Eight Second Ride (Book 6)Christmas in Three Rivers (Novella collection)The First Lady of Three Rivers Ranch (Book 7 – can also be read first! )Lucky Number Thirteen (Novella) ~ coming March 6, 2017!